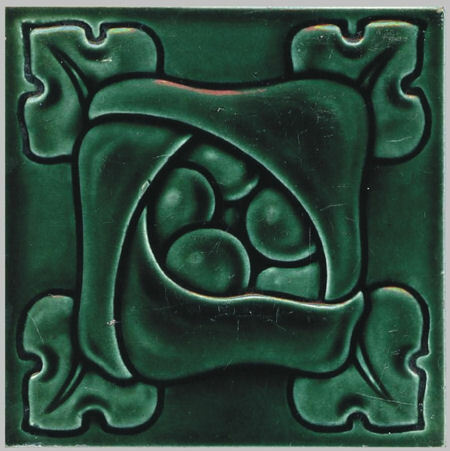 ENCAUSTIC TILES. 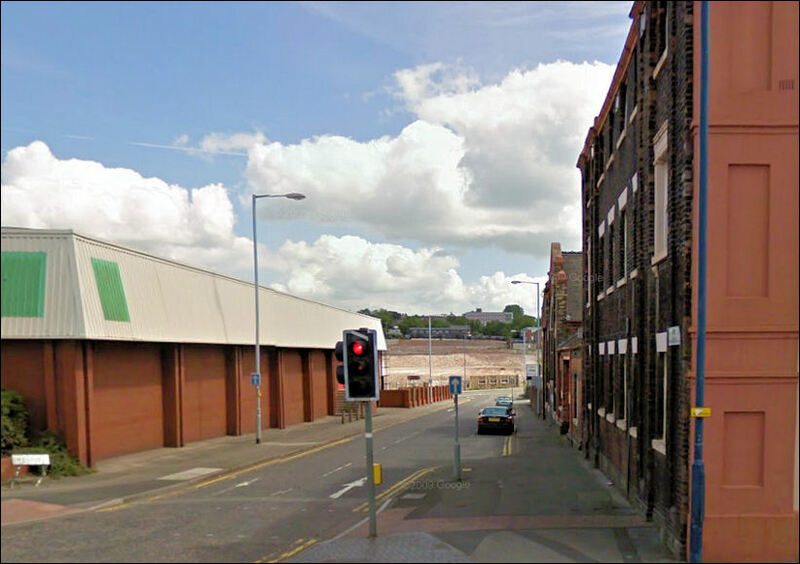 Boote, T. and R., Ltd., Waterloo Road Works, and Portland Works, Newcastle Street, Burslem. 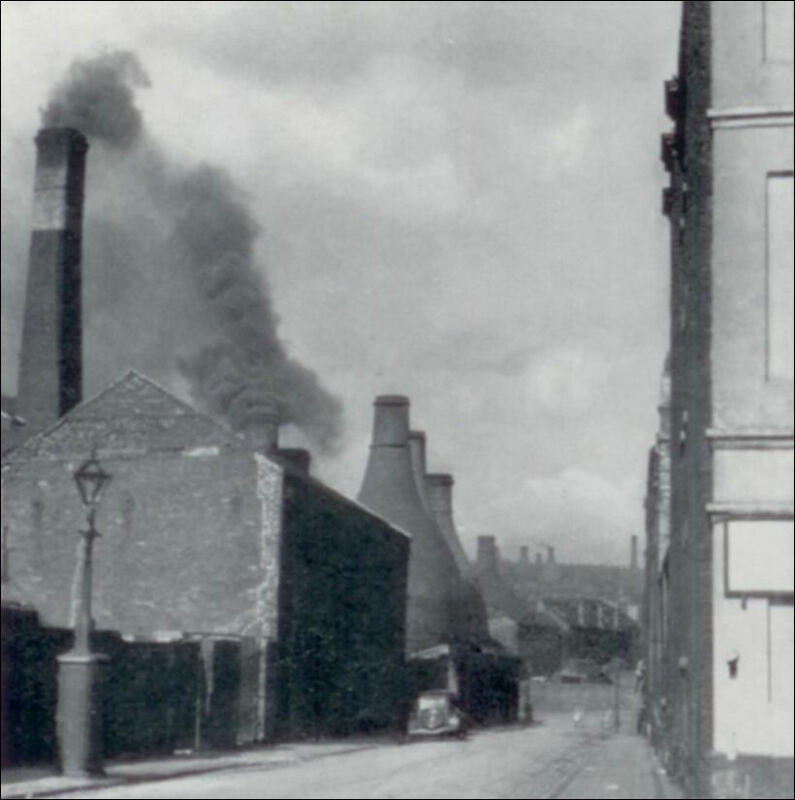 "Founded 1842 by Thomas Latham Boote and Richard Boote at the Central Pottery, Burslem; manufacturers of parian statuary and vases. 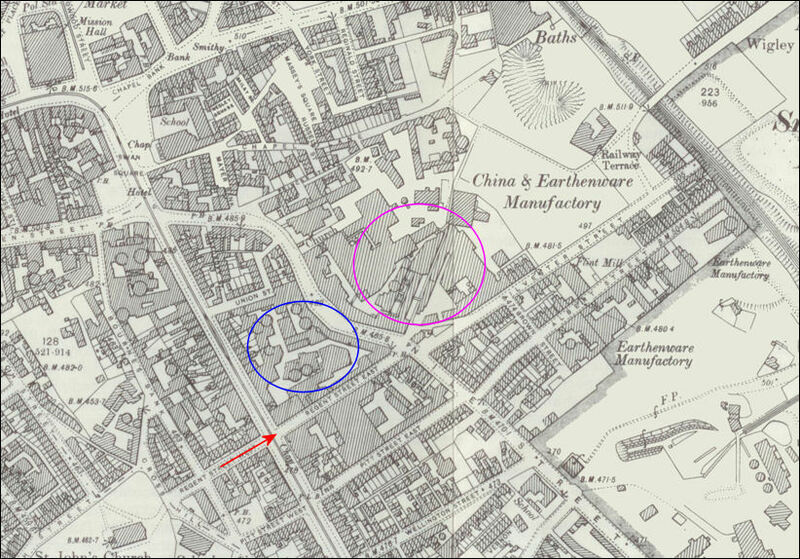 Various factories were occupied, the Kilncroft Works, and finally the Waterloo Potteries. 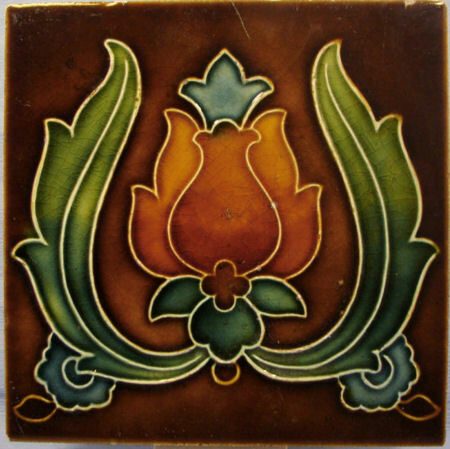 Tiles and 'Granite' earthenware were made from about 1850. When T. L. Boote retired in Sep¬tember 1879, the business was continued by Richard Boote (d.1891) with the help of his sons. 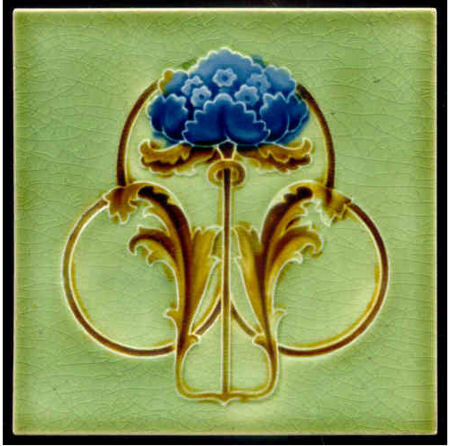 In 1894 the firm became a limited liability company. Blackwall Tunnel was tiled through¬out by T. & R. Boote. The Bootes disputed with Copelands and Mintons the invention of parian." 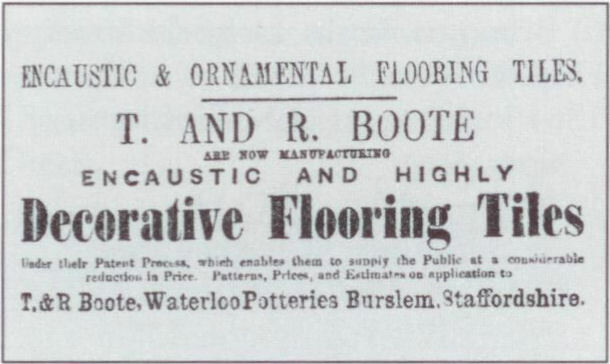 "Messrs T & R Boote, of Waterloo Pottery, have highly distinguished themselves as manufacturers of Parian Statuary, White Granite Porcelain, and Royal Mosaic Ware, of which latter they are the patentees." the building on the right is the corner of the Methodist Bethel Chapel.